That’s the Hotspur shown with a thousand gram wheelset that costs about 3K, with no weight limit. Impressive features for a wheel that isn’t made with a modern aerodynamic shape. They are light and blowy, like a Subaru WRX to an Volvo XC70. You want to spin up fast with a rough ride around corners or roll the open road at top speed? I’d throw these into turn of the local crit without hesitation and use another wheelset for a road race. 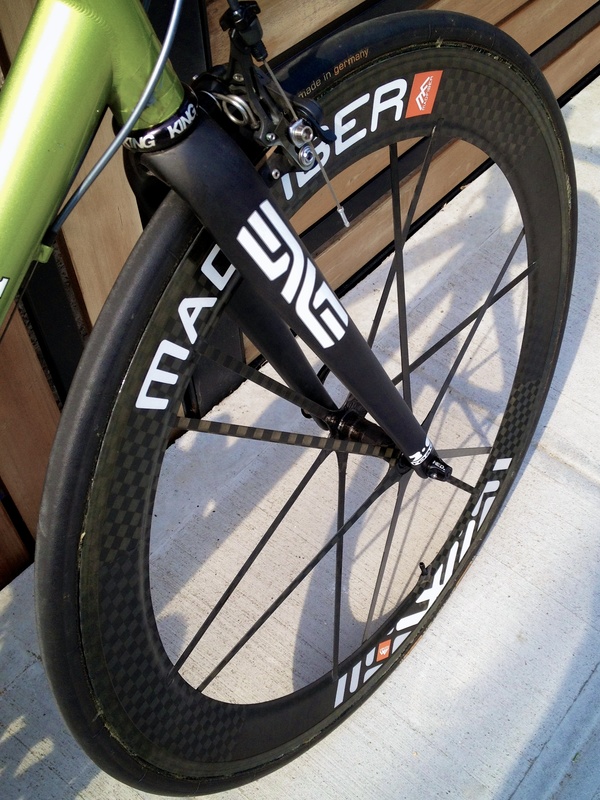 Built on stout, smooth hubs, the Mad Fibers have no drift in turns and corner like they’re on rails. 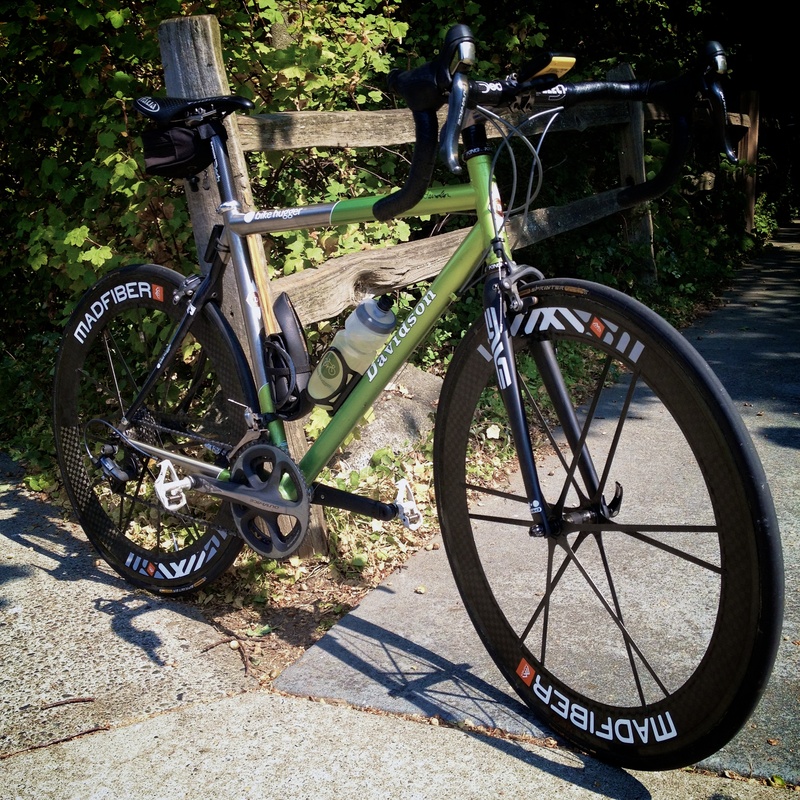 In a couple weeks, Mark V will tear those Contis off and glue up another set of Cross tires.